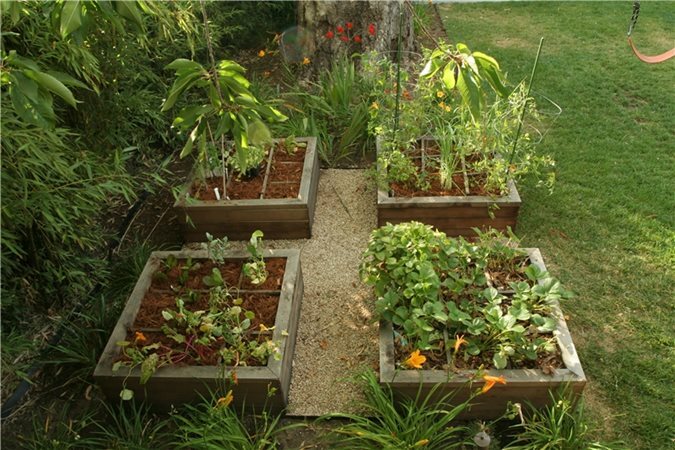 Backyards have become a true extension of the home. When properly landscaped, a backyard will provide additional outdoor living space where you can spend time with family and friends. 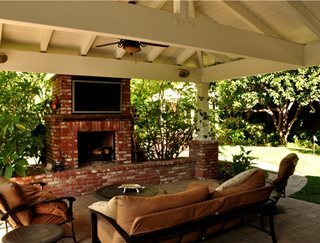 Just like the inside of your home has rooms, your backyard should also have rooms. A good landscape design will create a series of rooms that serve as different spaces for outdoor dining & entertaining within your yard. 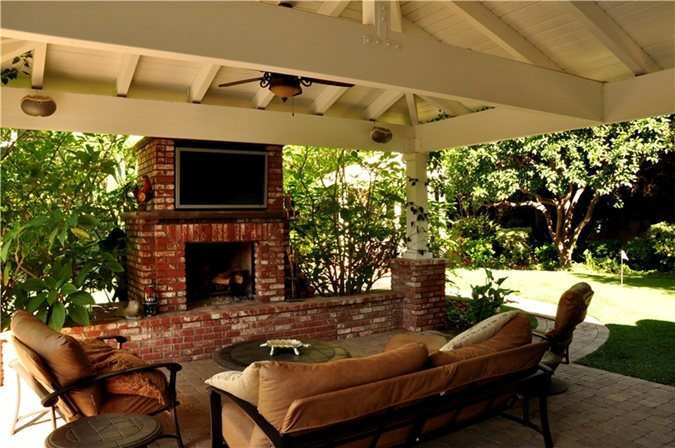 A backyard living room should have plenty of comfortable seating, and can be situated around an outdoor fireplace. Shades of Green Landscape Architecture in Sausalito, CA. 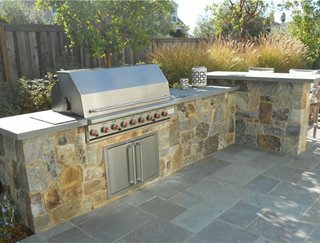 Including a built-in grill and dining bar in your backyard design will make your yard the ultimate entertaining space. 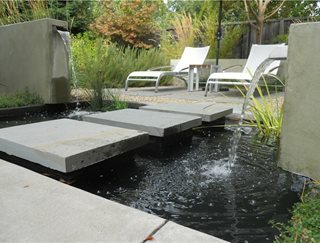 Huettl Landscape Architecture in Walnut Creek, CA. A pair of chaise lounges and a pond provide a relaxing backyard retreat. 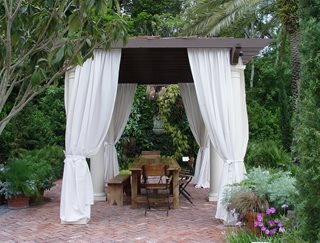 Photo courtesy of Grace Design Associates in Santa Barbara, CA. 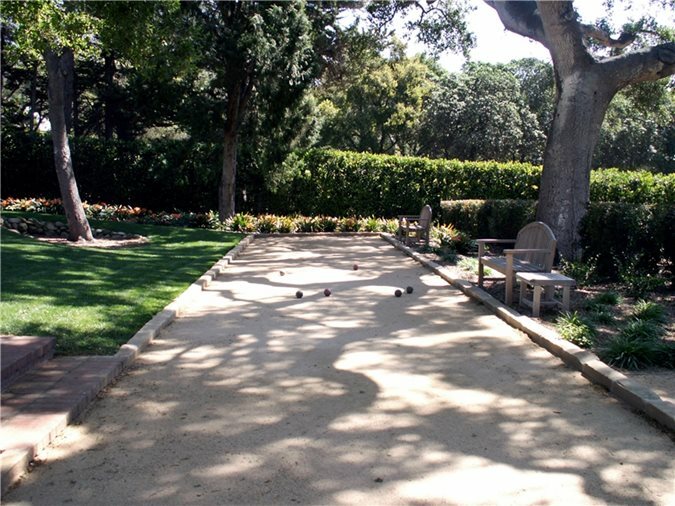 Features: basketball court, bocce ball, an in-ground trampoline, a large lawn, etc. 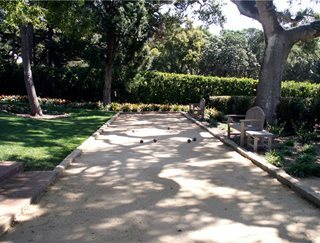 You can add a game area to your backyard, such as this bocce ball court. 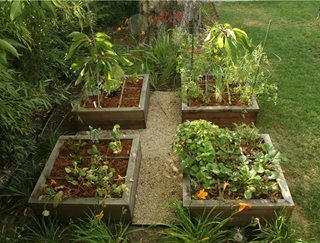 If you want to grow vegetables be sure to plan for a garden room with raised beds. 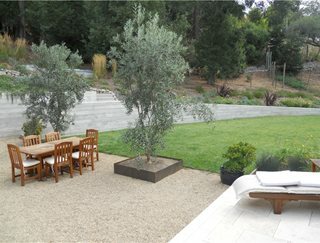 When creating rooms in a backyard, subtle clues should be given that define each space. Landscapers use design tricks to designate outdoor rooms without inhibiting the overall flow and unity of the yard. 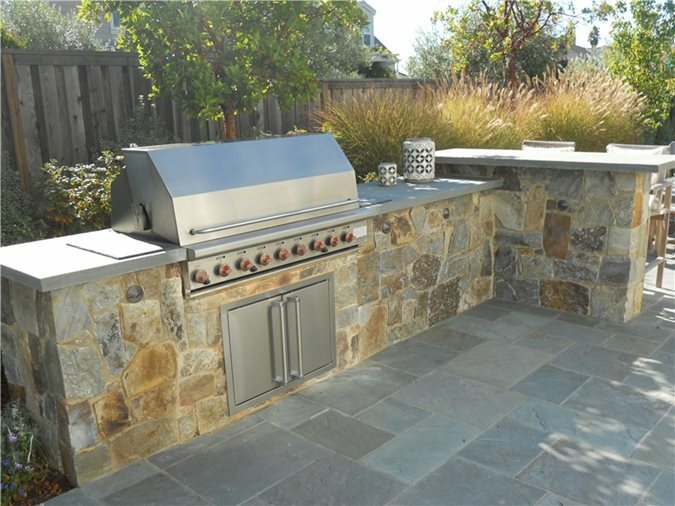 For example, a patio cover can be placed over a dining area, the paving material can be changed between an outdoor kitchen and an outdoor living room, and a low wall can divide the play area from the vegetable garden. This backyard's rooms are on different levels and paved with different materials.